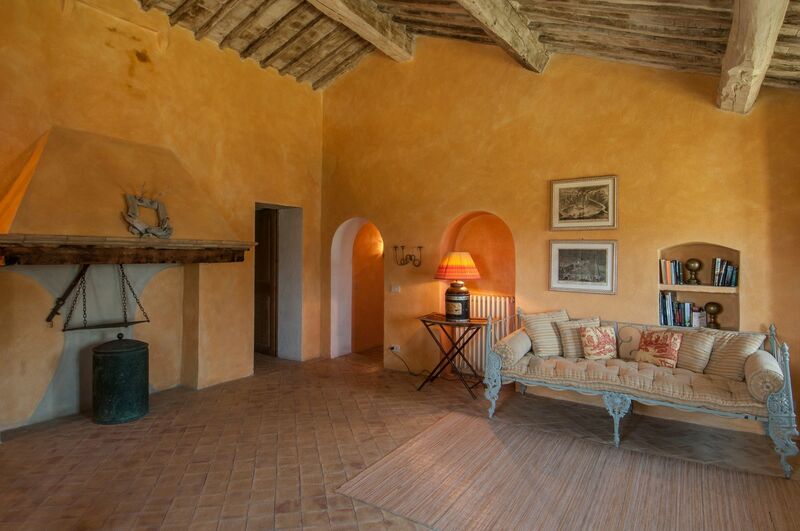 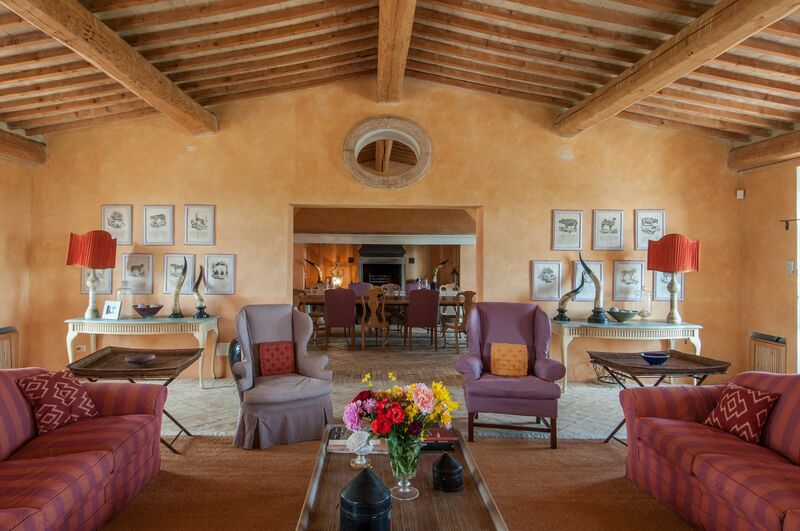 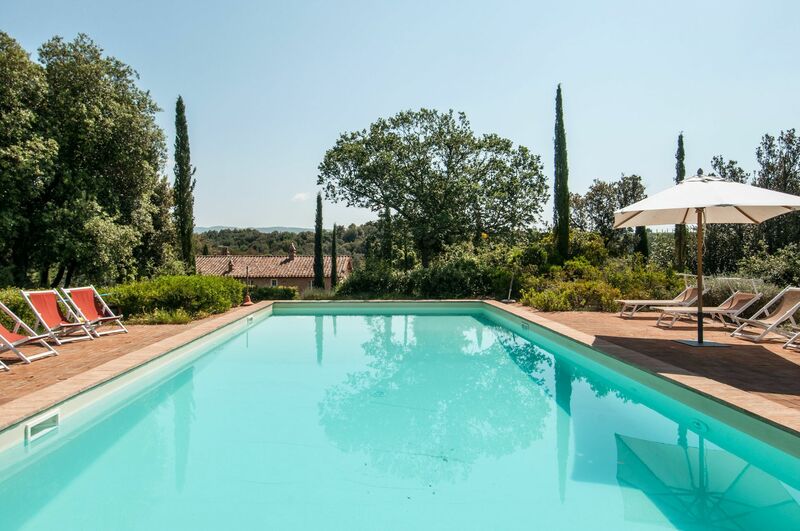 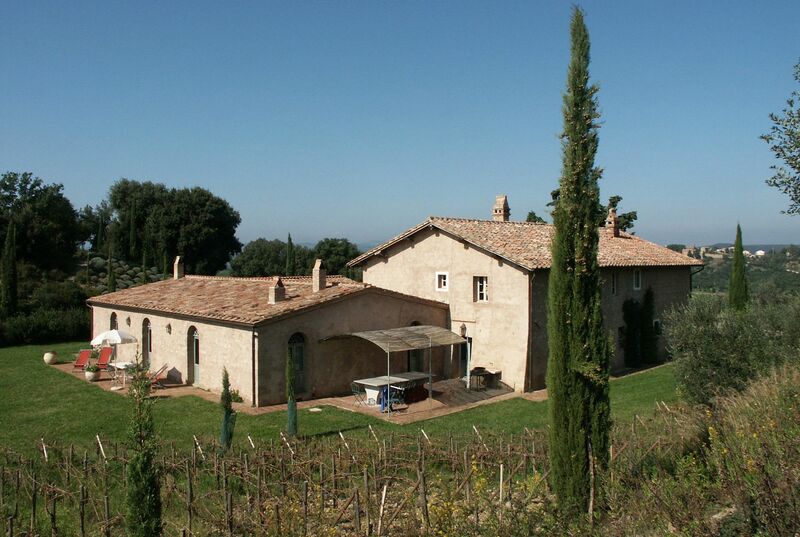 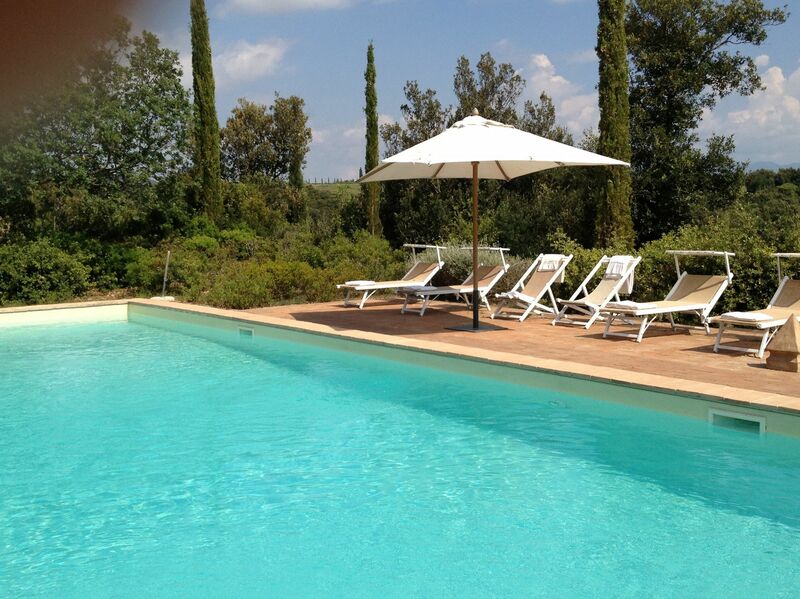 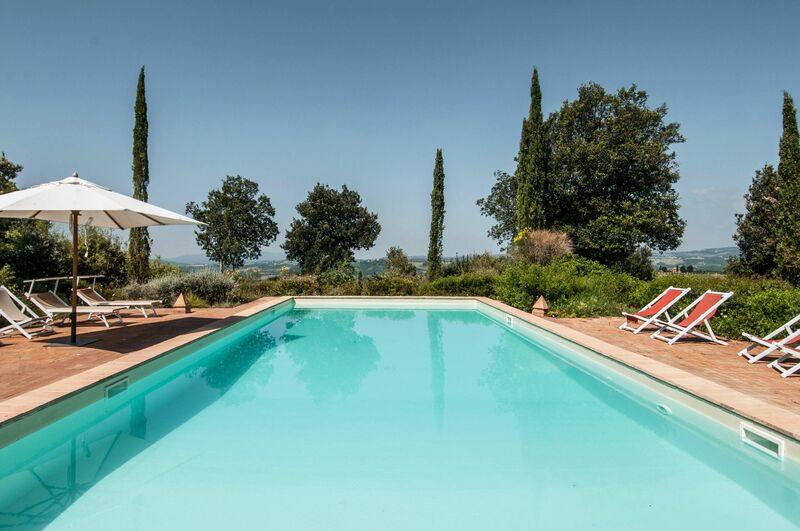 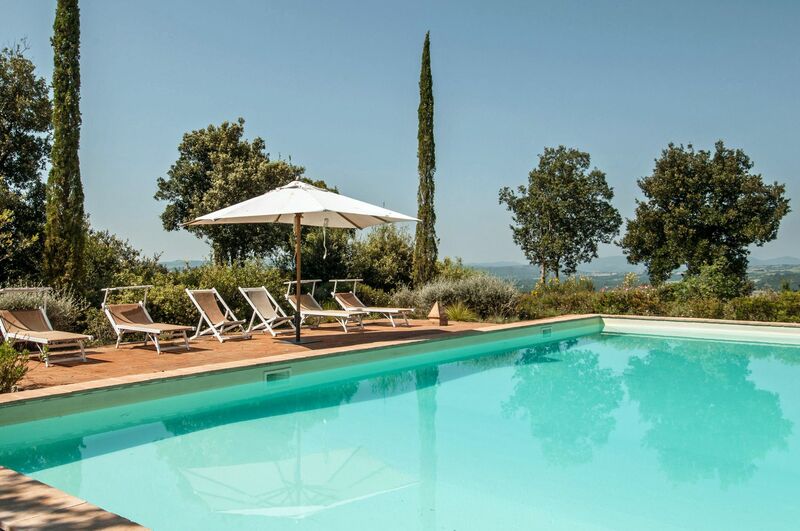 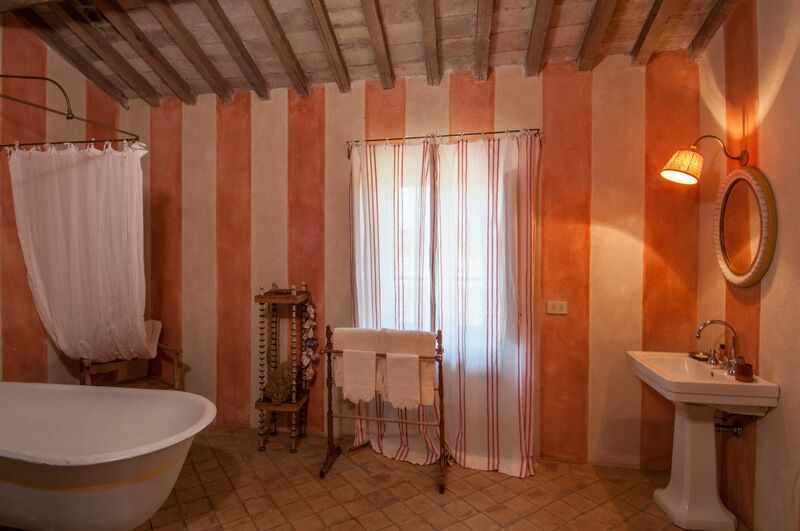 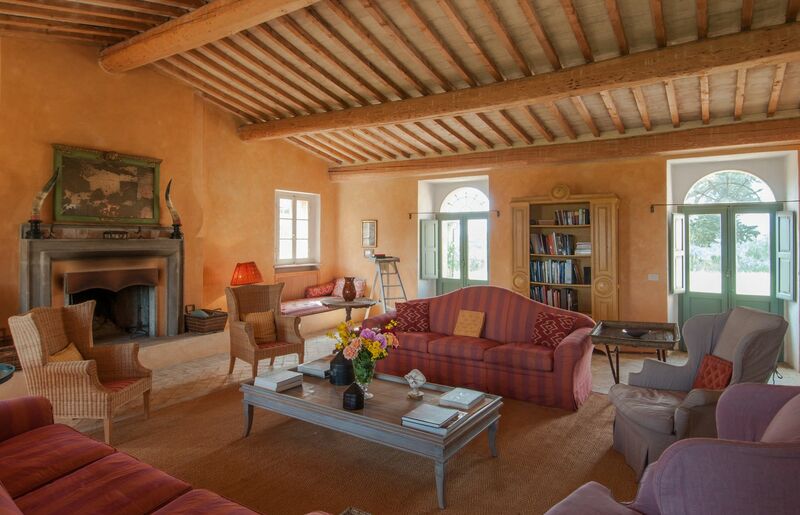 This charming and elegant villa with private pool is located in a spectacular and quite position, just a few kilometres from the village of Montalcino. 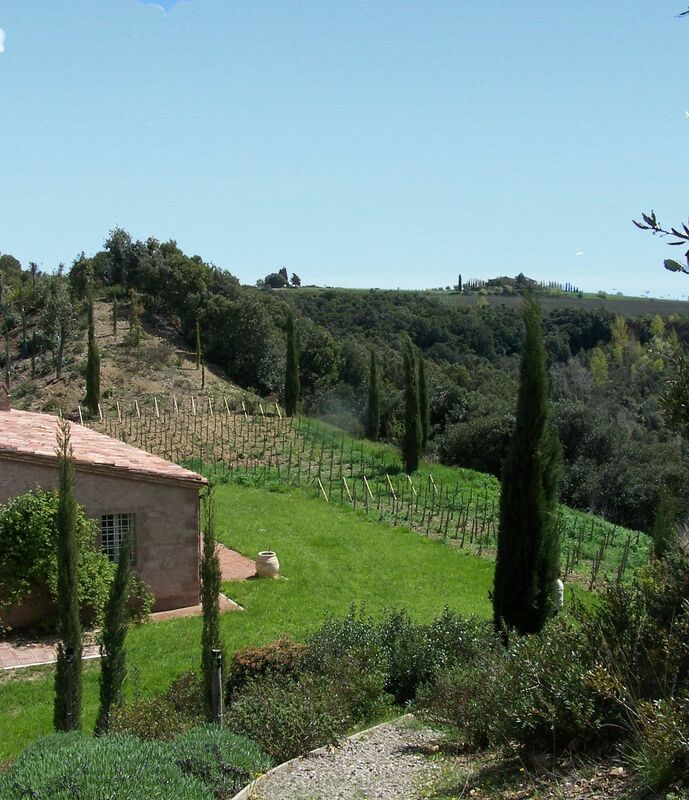 This area is renowned worldwide for its excellent wine production and guests can arrange to tour some of the surrounding wine estates and have wine tasting. 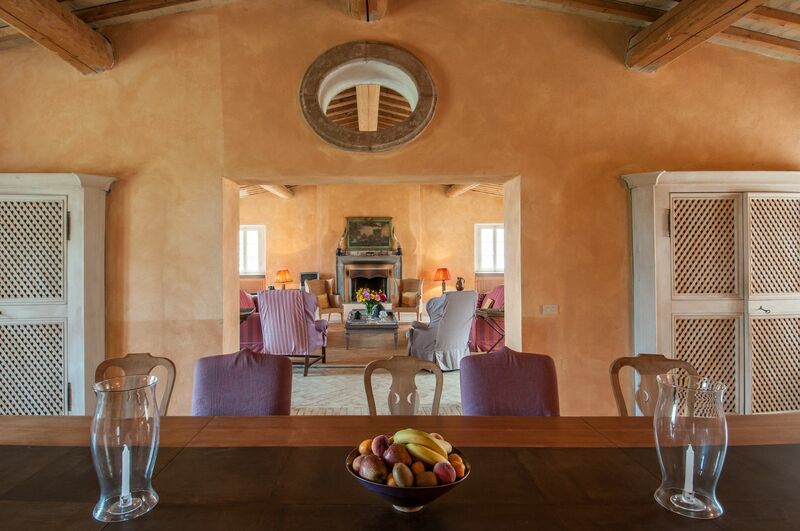 Just a five minute drive away (3,5km) there is the famous Castello Banfi; here guests can visit the cellars and hamlet, enjoy the great wine and taste their balsamic vinegar, have lunch or dinner in one of their excellent restaurants. 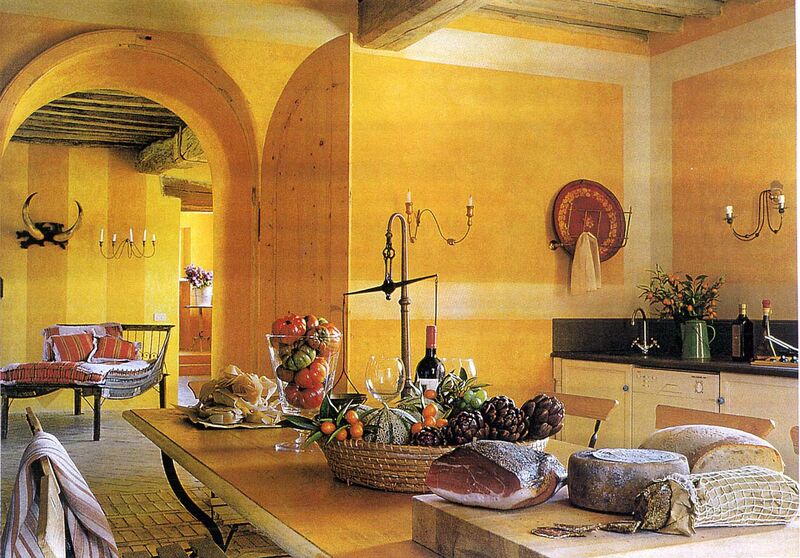 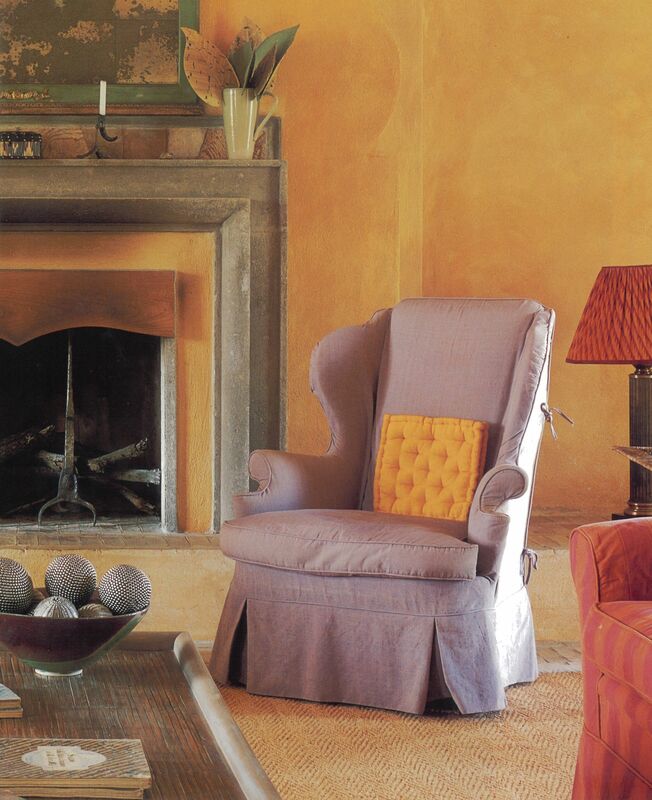 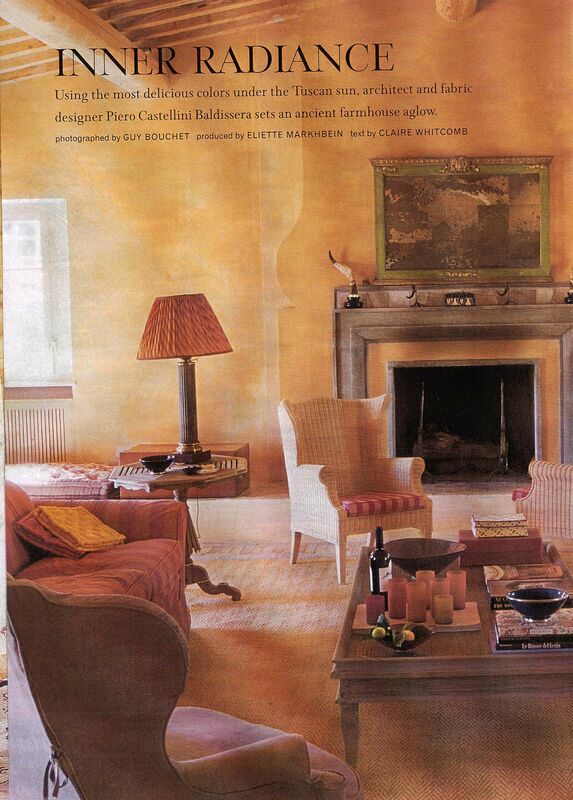 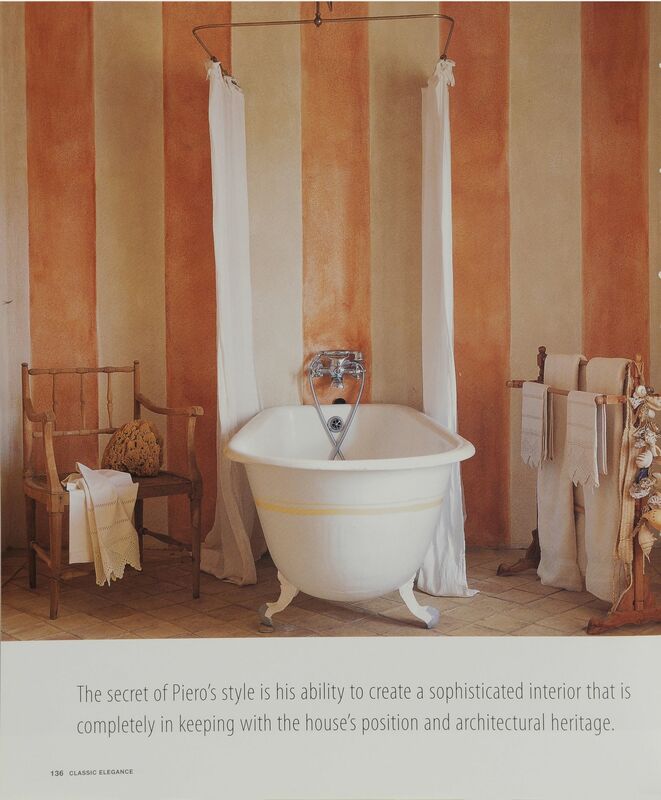 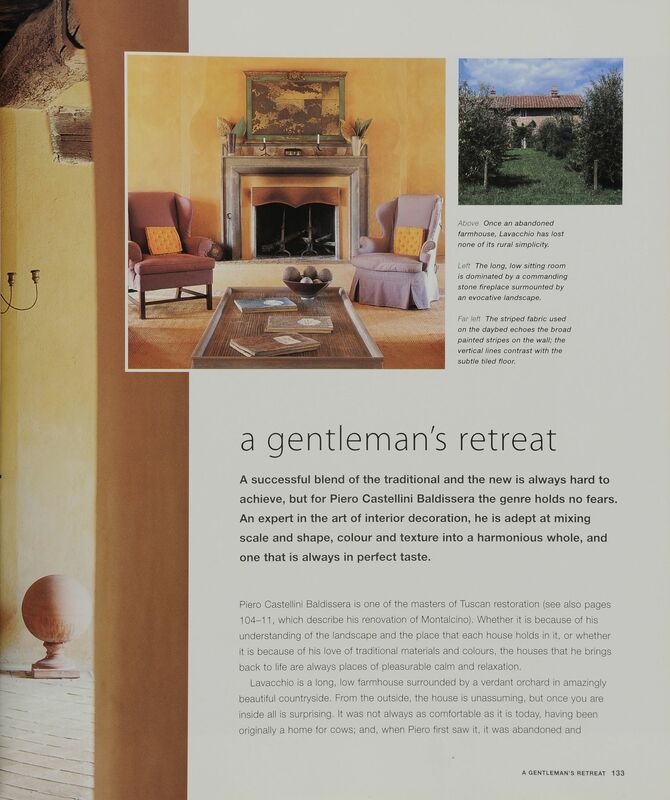 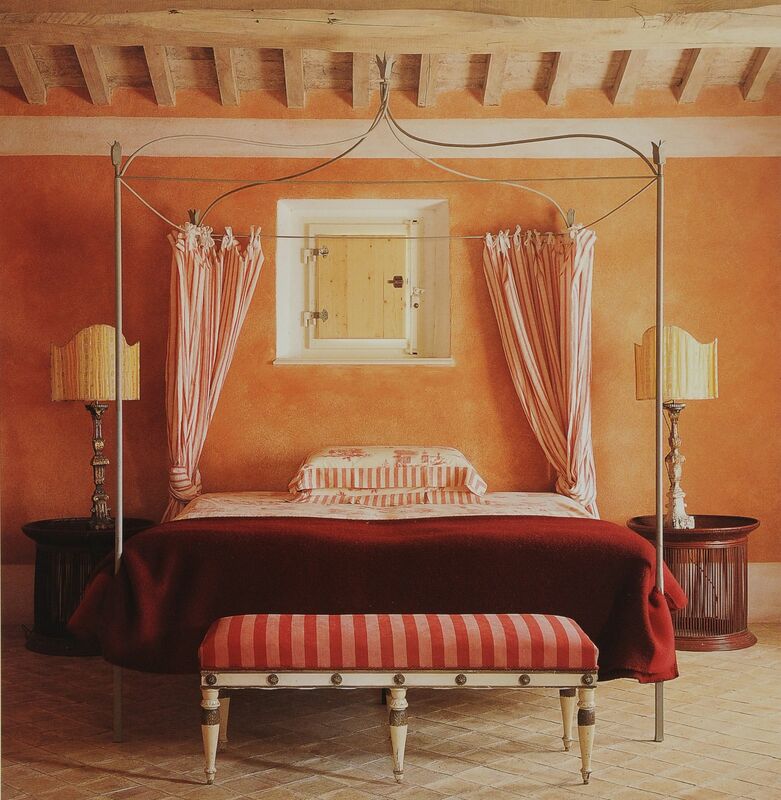 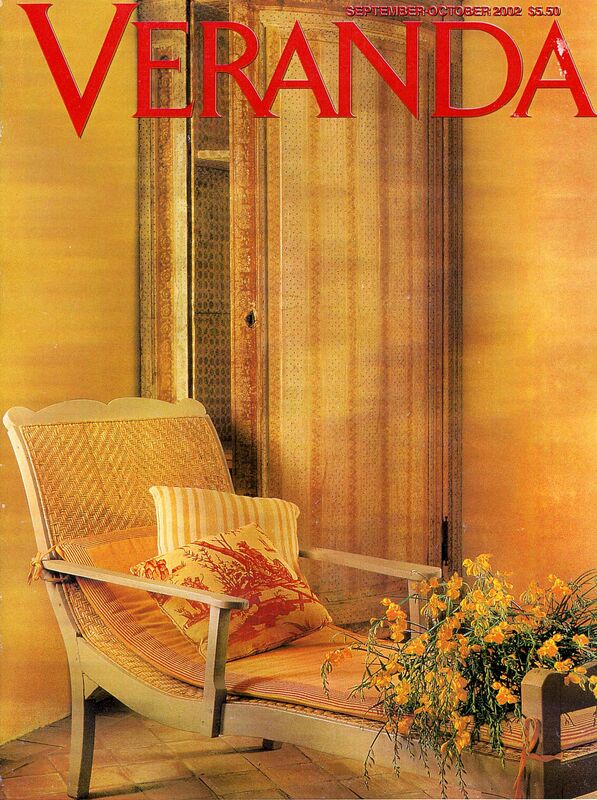 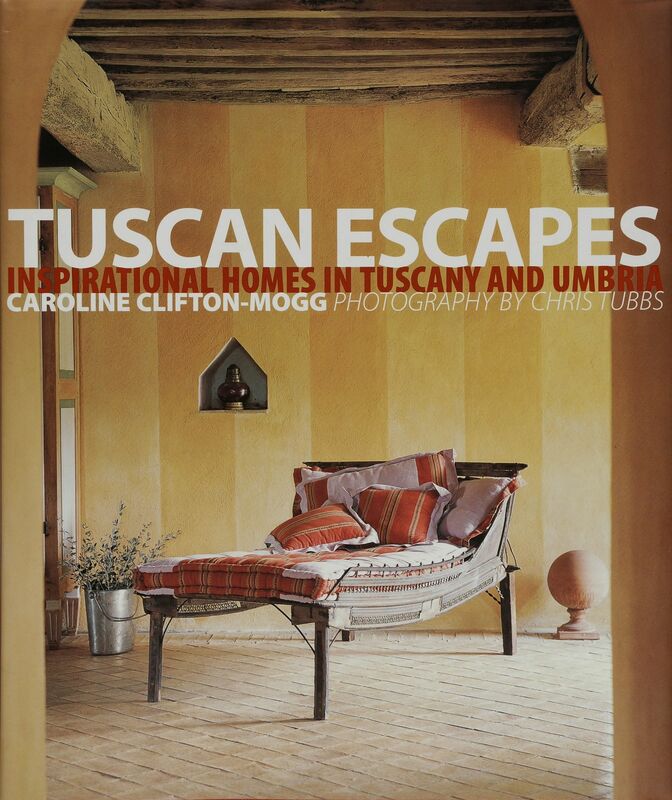 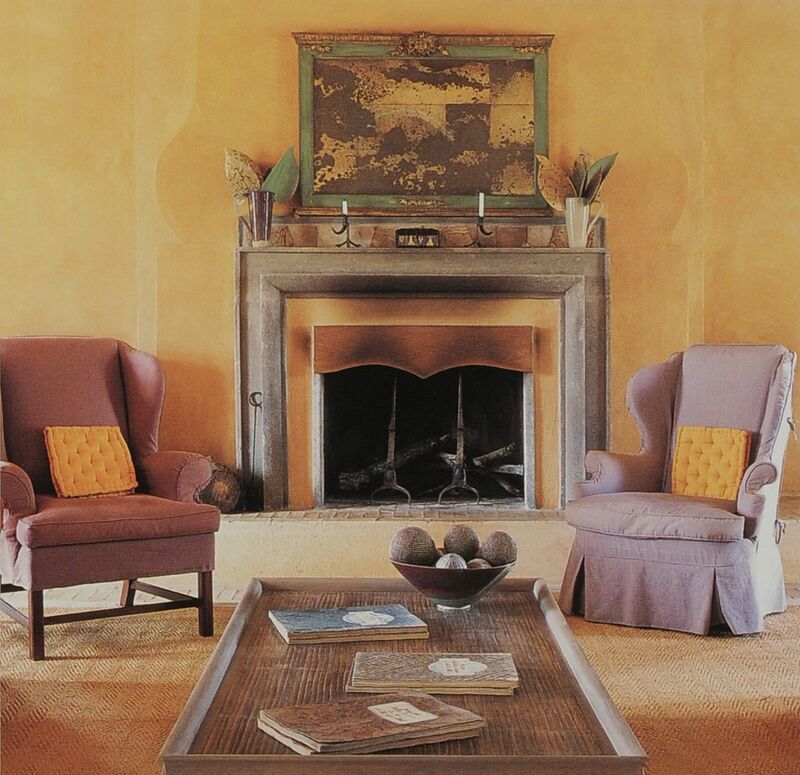 The owner, a renowned Italian Architect and Interior Designer, restored the villa in total respect to the Tuscan tradition and furnished it with an impressive combination of furniture he personally designed and some antique ones.The photos of this property have been published over the years on many Interior Magazines. 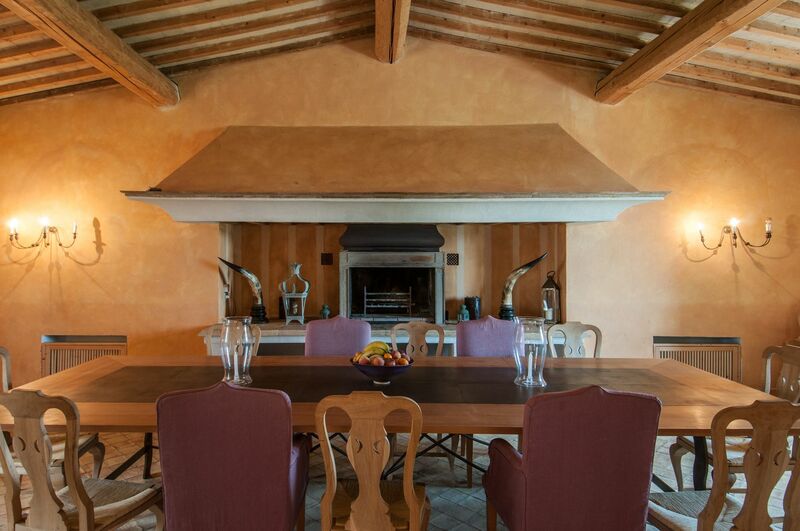 Past clients have highly enjoyed the interior of the villa, especially its spacious sitting areas and large dining table. 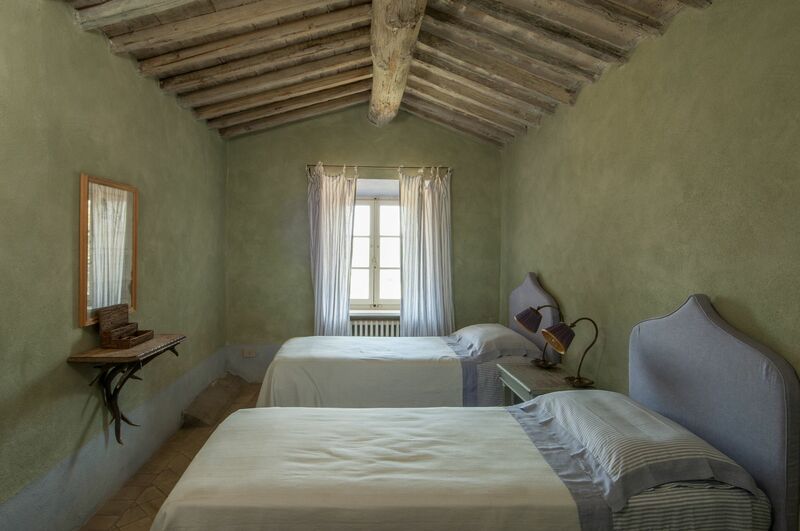 All the bedrooms on the first floor have air-conditioning and two other portable units are available on request making this villa comfortable also during the warmest day of summer. 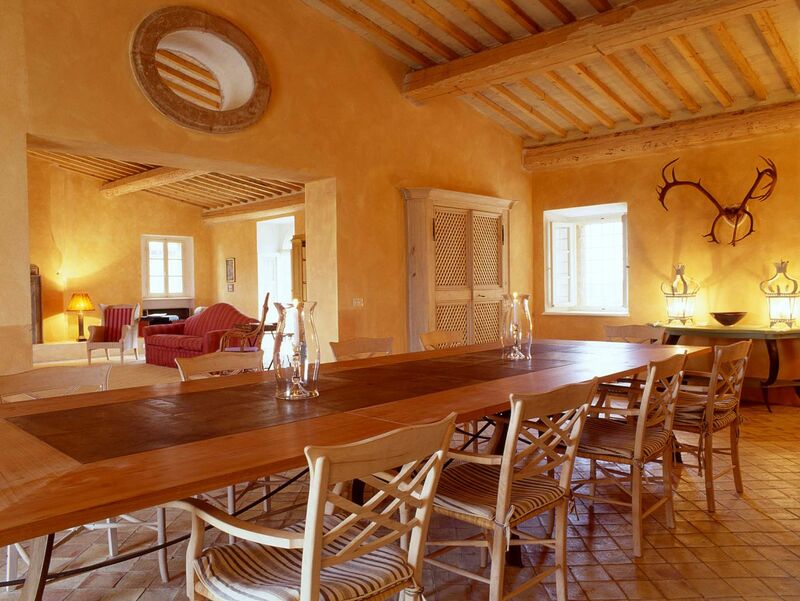 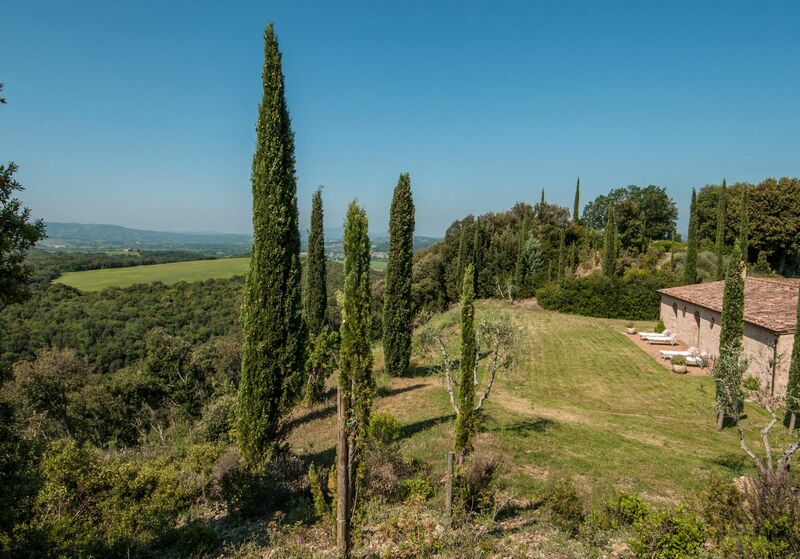 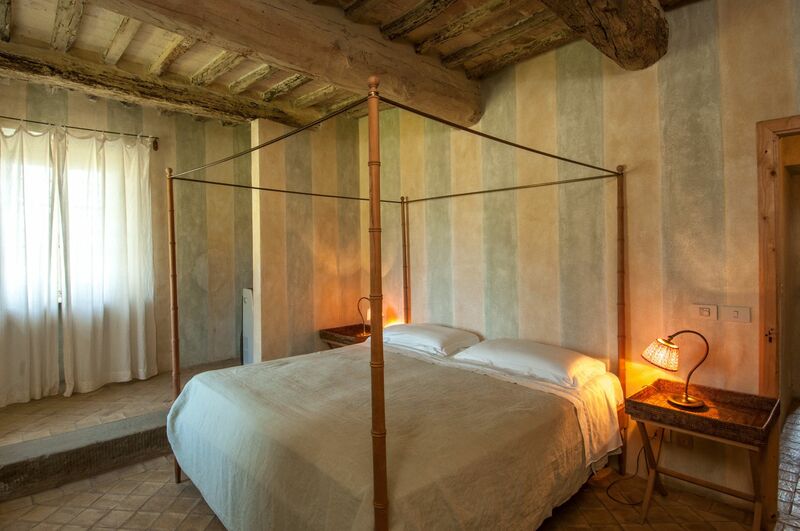 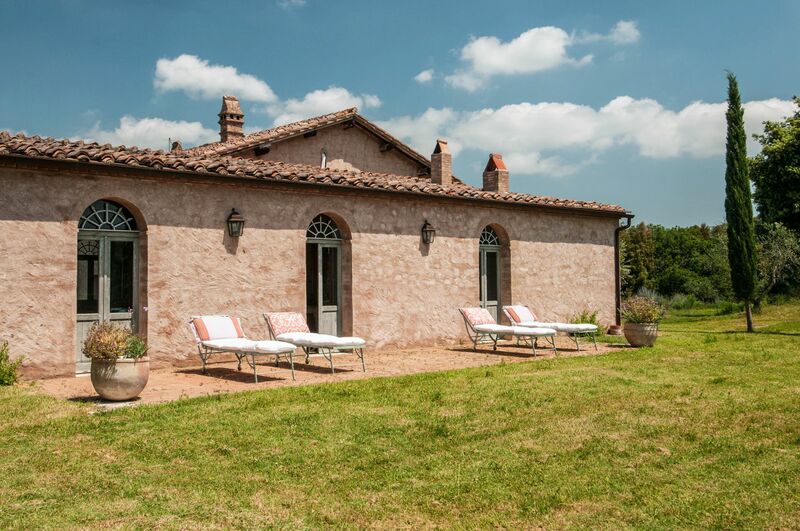 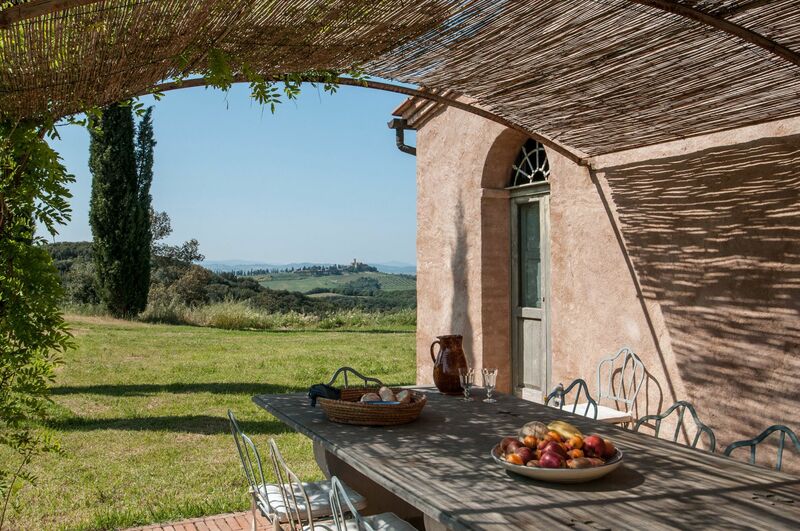 The quite location of the villa enable guests to fully relax while enjoying the outstanding views , taking in the Val d'Orcia and Crete Senesi that are considered by many as the most beautiful parts of Tuscany. 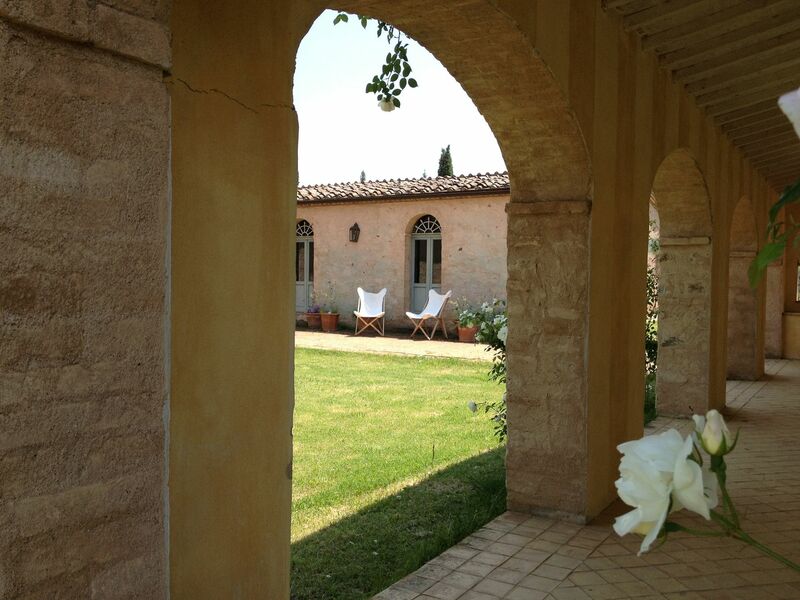 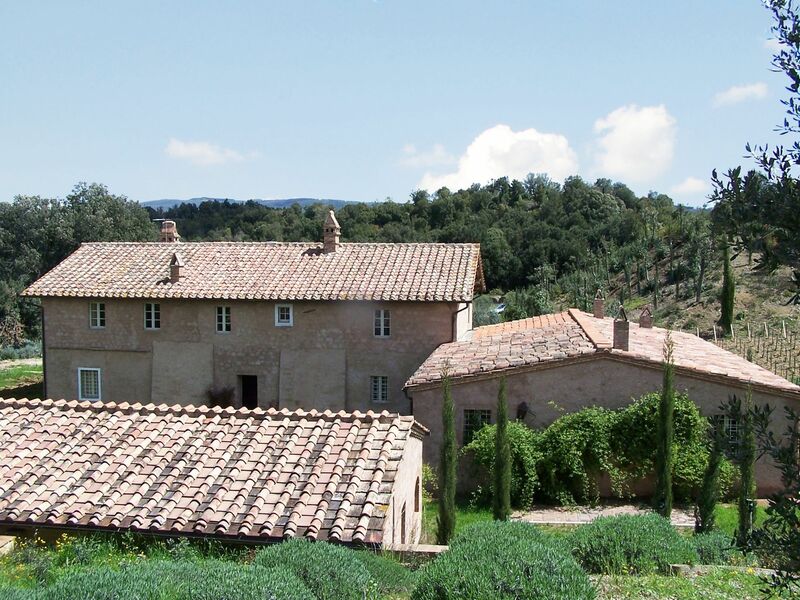 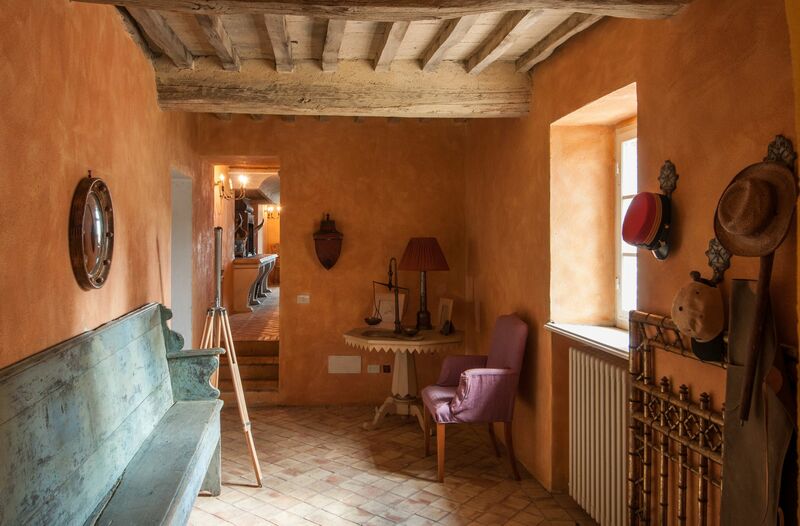 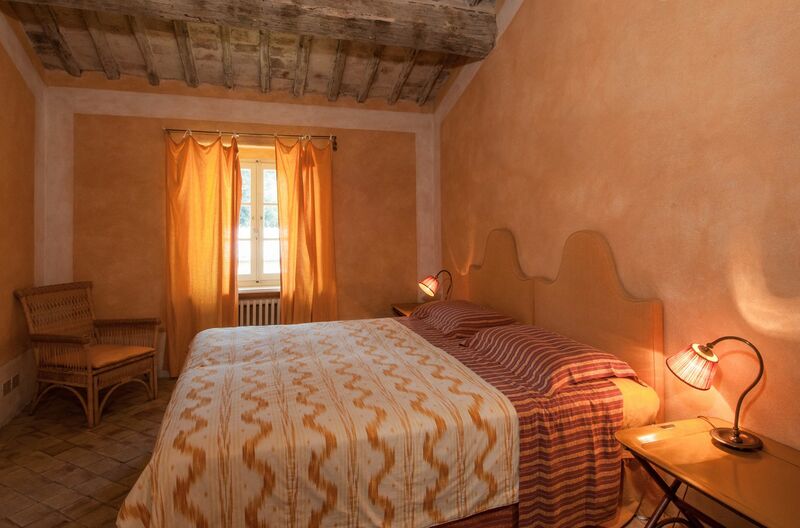 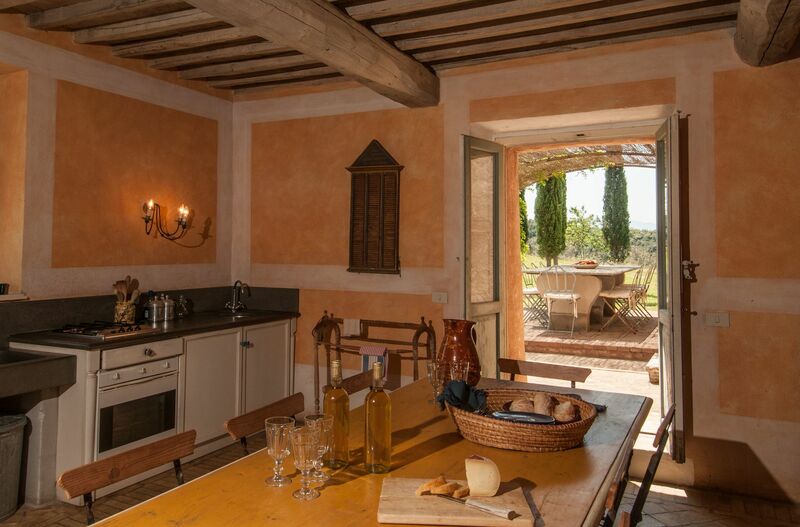 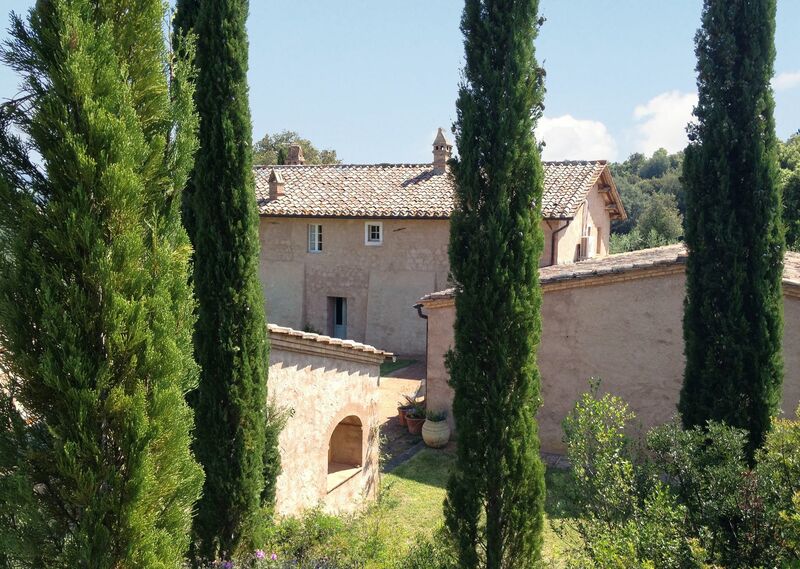 The location of Lavacchio is ideal for sightseeing the most well-known Tuscan villages and towns like Siena, Arezzo, Montepulciano, Monteriggioni, Pitigliano, Pienza, Cortona, Arezzo, San Gimignano, Florence etc. 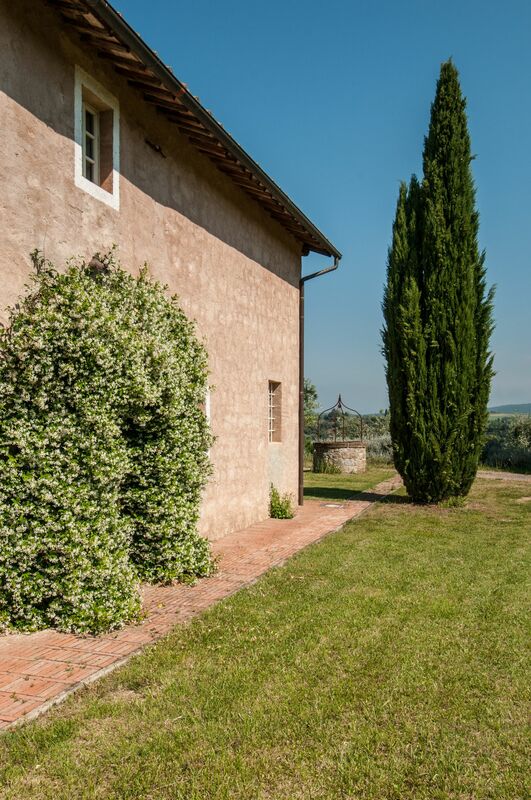 The property comprises the main stone-built farmhouse of the estate, and a bedroom with en-suite bathroom in the guesthouse. 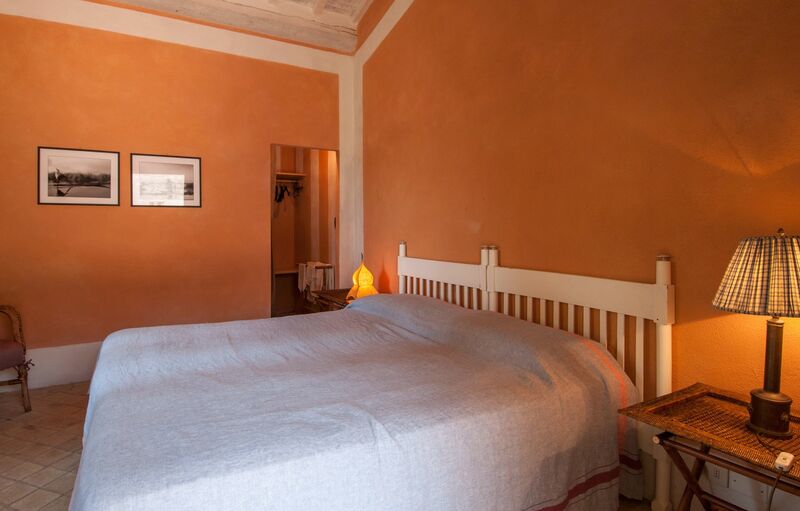 Other 3 bedrooms with en-suite bathroom can be rented at extra cost sleeping up to 18 people. 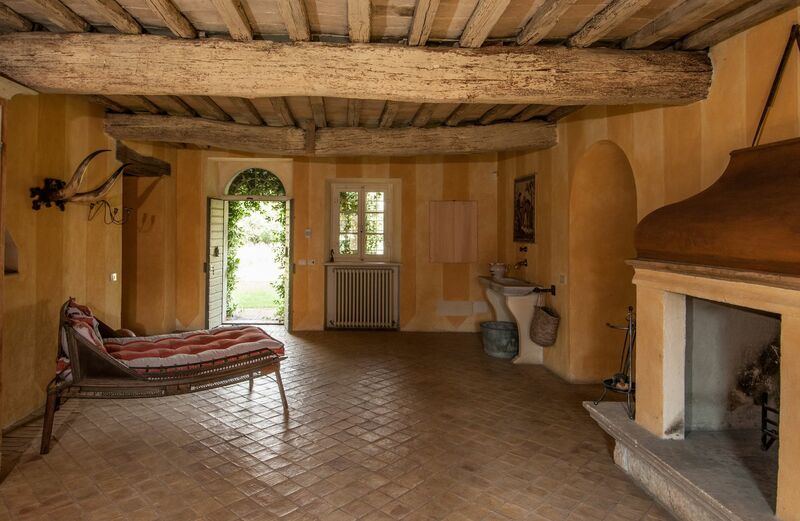 Entrance hall; large dining room with fireplace, spacious living room both opening onto the garden and patio; open kitchen on a veranda furnished for outdoor meals; double bedroom with four-poster bed and en-suite bathroom (bathtub). 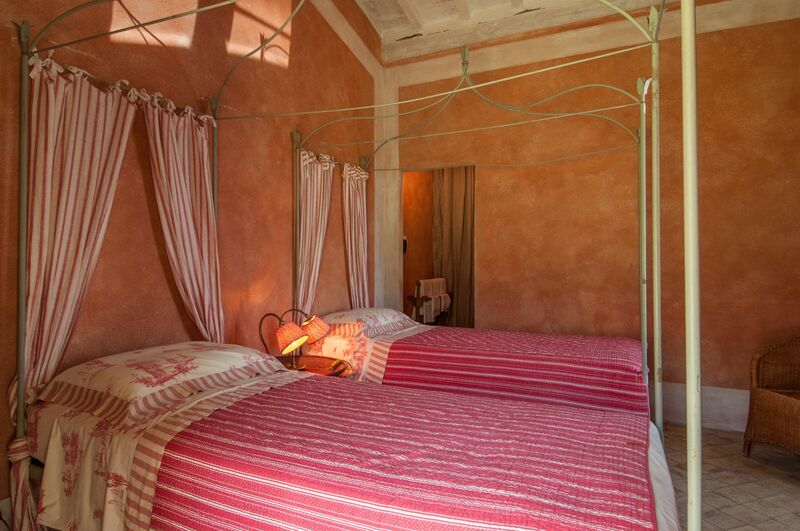 Living room; master bedroom with four-poster bed and en-suite bathroom (bathtub); double room with en-suite bathroom (bathtub); double bedroom and twin bedroom sharing a bathroom (bathtub). 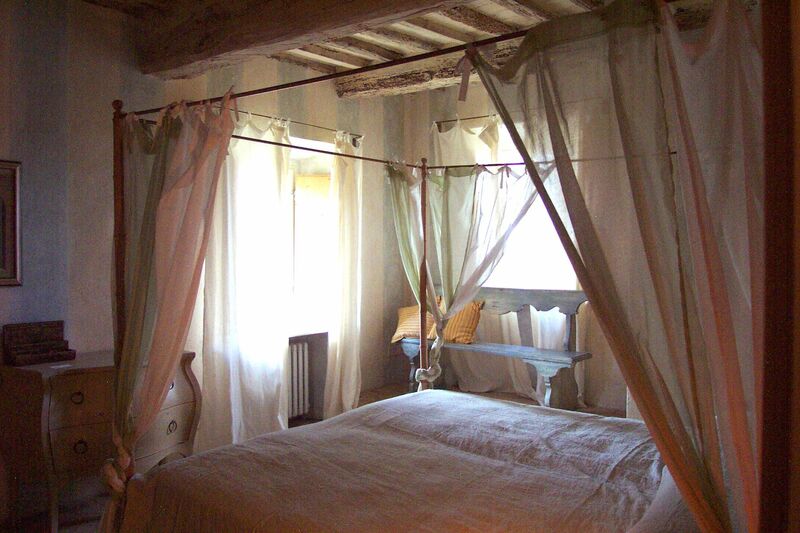 All rooms on this floor are air-conditioned. 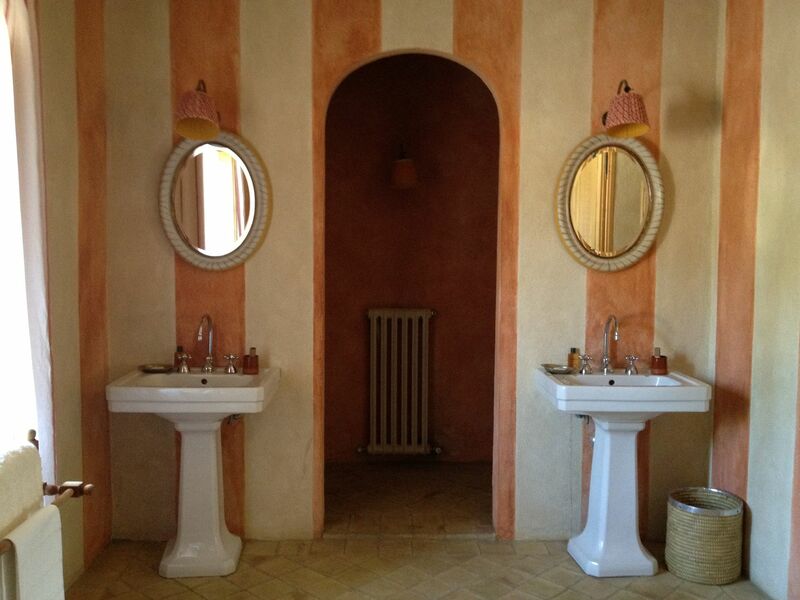 Two other portable units are available on request. 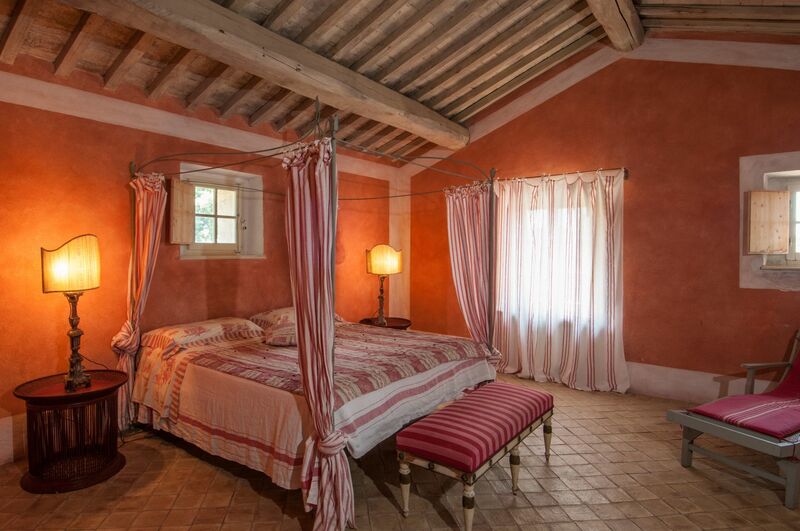 Twin bedroom with en-suite bathroom (bath). 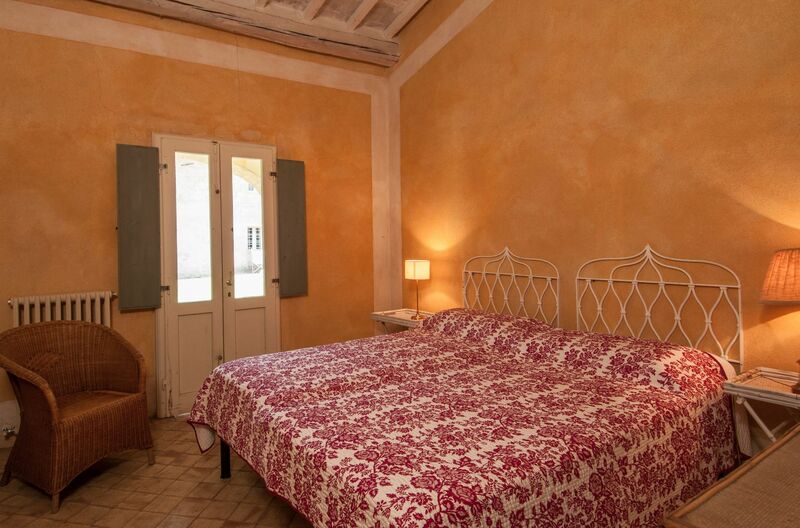 Three additional bedrooms, each with en suite bathroom, are available upon request for an additional fee.